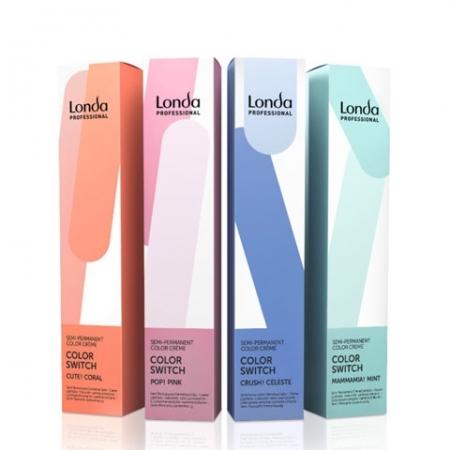 > Londa Color Switch 80 ml..
Londa Color Switch 80 ml..
Londa Color Switch semi-permanente Haarfarbe mit direktziehenden Farbstoffen. Ohne Entwickler, ohne Ammoniak, ohne Peroxid. bitte wählen Londa Color Switch Blau 80 ml. Londa Color Switch Crush! Celeste 80 ml. Londa Color Switch Cute! Coral 80 ml. Londa Color Switch Gelb 80 ml. Londa Color Switch Grün 80 ml. Londa Color Switch Klarton 80 ml. Londa Color Switch Magenta 80 ml. Londa Color Switch Mammamia! Mint 80 ml. Londa Color Switch Orange 80 ml. Londa Color Switch Pop! Pink 80 ml. 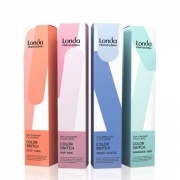 Londa Color Switch Rot 80 ml. Londa Color Switch Violett 80 ml.